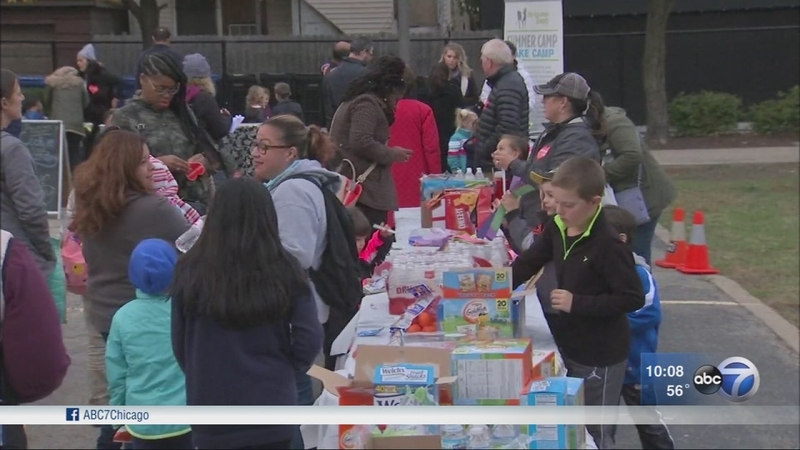 CHICAGO (WLS) -- The "Stand Up To Hate Playdate" in West Town united a neighborhood against racism in the wake of a letter that was sent to a family who hired an African American nanny. Under a colorful parachute, the squeals of children show their innocence. "It doesn't matter, you know, what color skin you are, what religion you are, they care," said Ana Garcia, fellow nanny. That's the point of this playdate. It was planned after a mother found an anonymous letter in her mailbox on Oct. 16 targeting her nanny. "A very upsetting, racially-filled letter that was pretty much just expressing their distaste for an African American nanny in the neighborhood," said Ferrari Pickett, the nanny who was targeted by the letter. "I was really shocked, really confused, really upset, a little bit scared," said Heather DeJonker, mother who received the letter. "Well, what are we going to do? If we're silent it would almost seem like we're accepting or agreeing with this person," said Maria Ippolito, who also employs Pickett. DeJonker and Ippolito wrote in the event description of the playdate that they took the letter to police, contacted Alderman Proco Joe Moreno (1st Ward), and installed security cameras, but felt more action needed to be taken, so they organized the playdate. Attendees personally wrote notes that they then formed into links in what they're calling a love chain, which will hang on the fence of Talcott Park to show hate has no place here. "So whoever wrote this letter, if they ever walk past the park again, they will see, 'OK, this neighborhood doesn't agree with me,'" Pickett said. In the space of swing sets, snacks and new friends, moms are on a mission to simply spread some love.